My computing world is simple, I don’t like things that are too over the top. In other words, I like certain things to be simple… especially my computer cases. The calmer the appearance, the more I like it. If you have some change in your pocket, Lian Li and SilverStone are the ones I look to first. 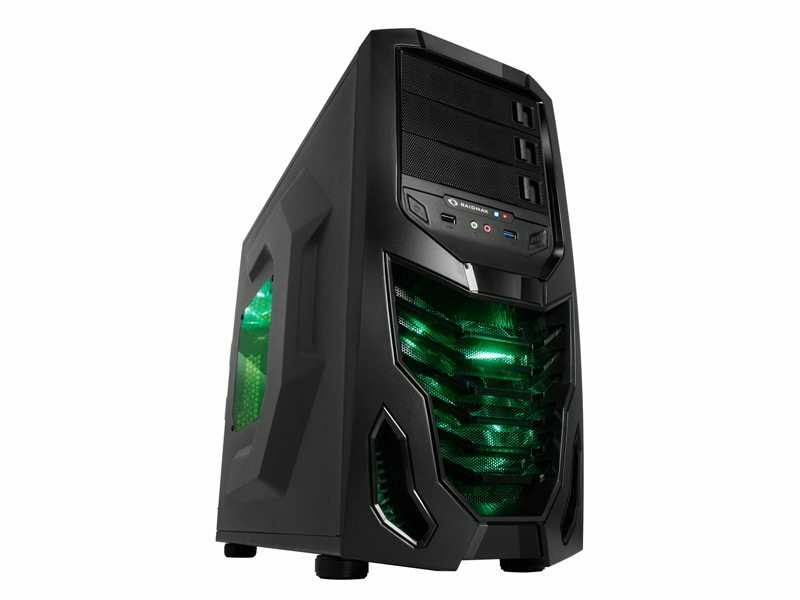 If I need a budget case, the BitFenix Merc Alpha or the CoolerMaster Centurion fits the bill. Today, RAIDMAX thinks they have a budget chassis that can find a place amongst our short list of go to cases. The Cobra is a Mid Tower case that definitely grabs your attention, without any gaudy designs, cough.. ThermalTake Modern Life Style XaserV Damier V5000A ..cough, but still adds some elements of flare. The cobra has three tool free 5.25″ drive bays, three internal 3.5″ bays, and four internal bays that can hold 2.5″ HDDs or 3.5″ HDDs. You have room for an ATX motherboard (10″ x 12″ max), it has seven expansion slots, and can home a video card that measures 415mm! 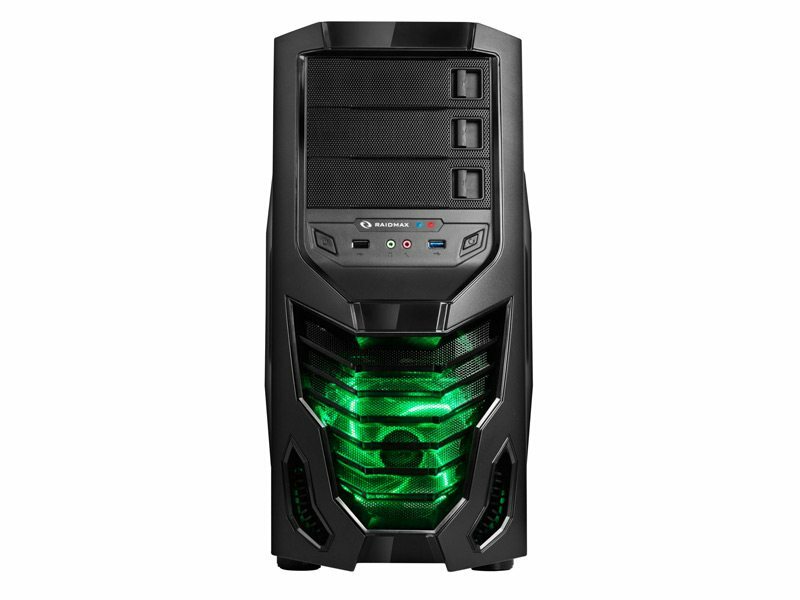 To keep things cool, the RAIDMAX Cobra ships with two fans installed; a 120mm fan in the rear of the case and a 120mm green LED fan up front. The case measures 525mm long, 240mm wide, and 460mm tall. Up front, the Cobra has a sort of sinister appearance. 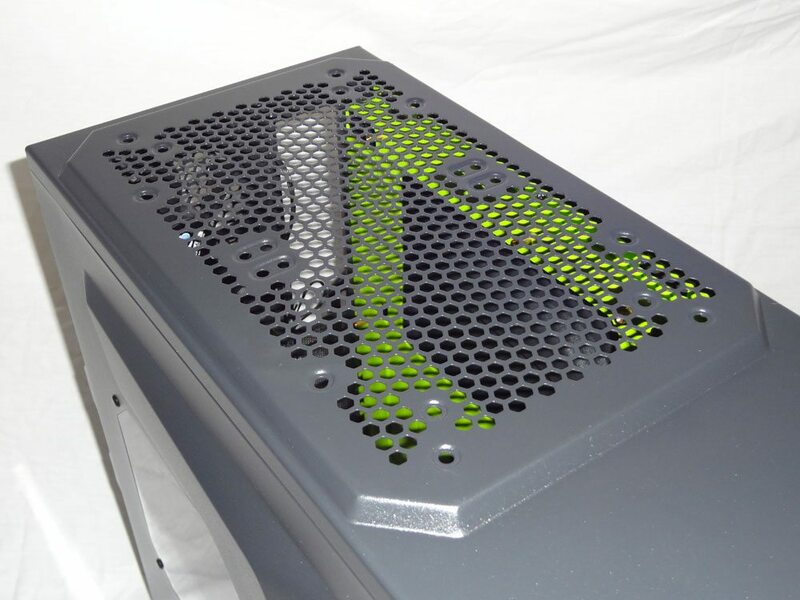 The bottom of the front looks like a Transformer at first glance, which is the intake for a green LED 120mm fan. Nestled just above the intake are your Power button, USB 2.0, MIC, Headphones, USB 3.0, Activity and Power LEDs, and a reset button. Each of the 5.25″ drive bays employs an easily removable drive bay cover. They have a pullback lever that releases the cover; they are constructed of a thick metal mesh, and have a foam filter behind them to keep dust out. Up top, the Cobra ships with both fan slots empty but provides mounting for either two 120mm fans, two 140mm fans, or one 180mm fan.